This stall is nicely tucked away in a cluster of HDB blocks, along Serangoon Avenue 4 and is directly opposite Serangoon Stadium. 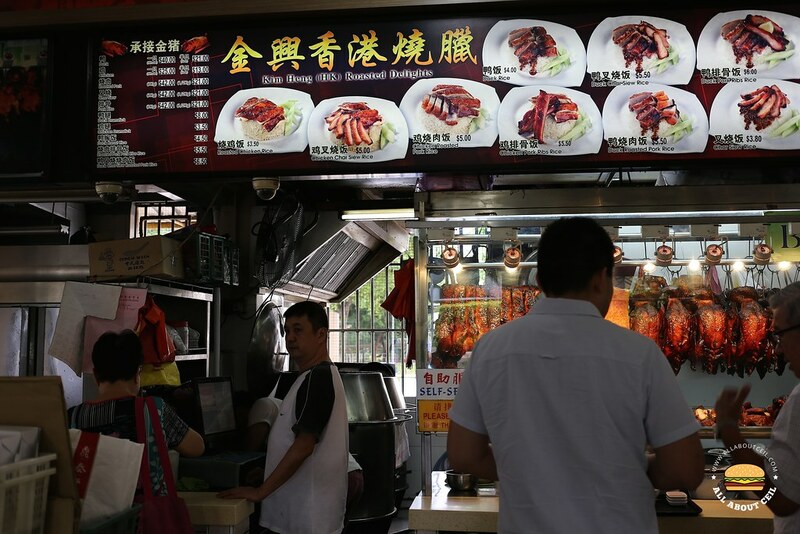 They have been around for more than 2 decades serving roast duck, roast pork, and char siew. It was quite memorable when I tasted it in 2012 and I have been wanting to come back all this while. I did when I went to collect the Christmas cookies at Plain Jane Cafe there. It was during lunch and a short queue was formed but it moved rather quickly though. 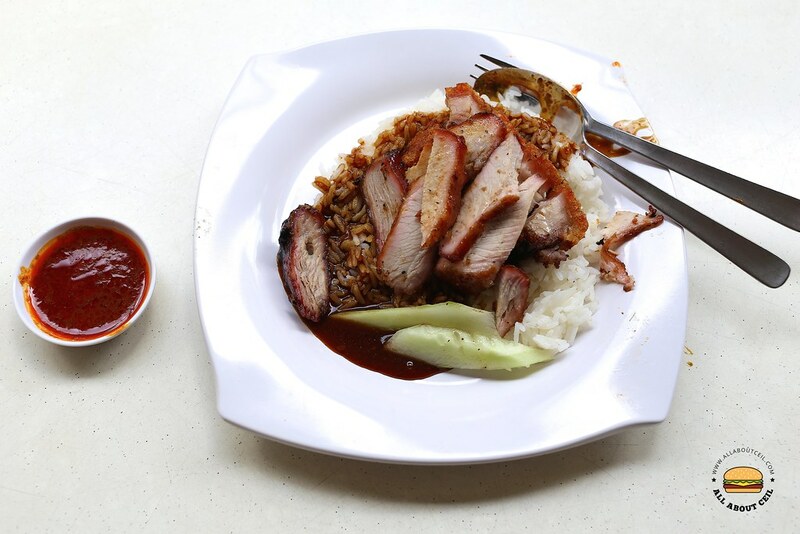 I decided to go with the Char Siew and Sio Bak rice at $4.80, which is more expensive than most of the others. I also ordered Salted Vegetable Duck Soup for $2.50. During my last visit, the char siew had a good amount of fat with nicely charred edges and was flavorful. It was disappointing this time, it was very lean and slightly dry, not as flavorful, too. The crispy skin on the sio bak was quite good and the well-seasoned meat was tender. 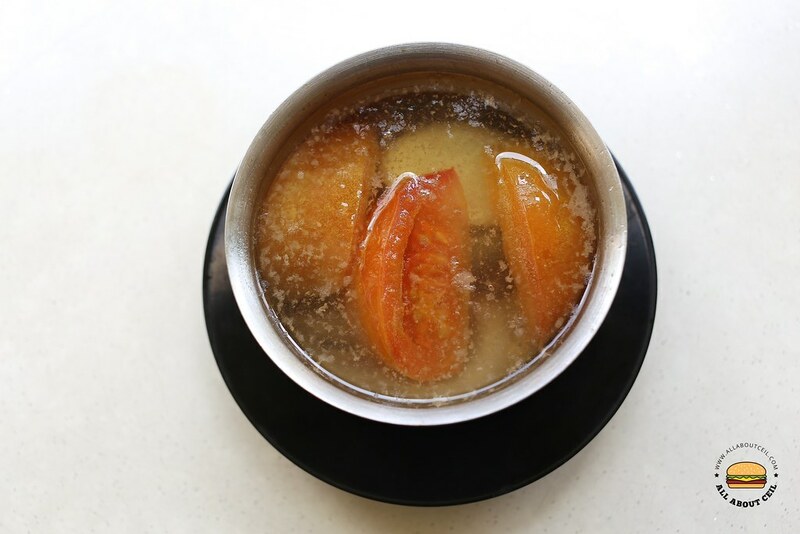 The Salted Vegetable Duck Soup came with chunks of tomato, salted vegetable and chopped pieces of duck wing. There was a slight sourish taste and quite flavorful but I remember it used to be better.